Welcome to The One in the Middle, my lovely home from home. The One In The Middle is a comfortable, well-furnished, 3-bedroomed, self-catering accommodation in Millhouse Green near Penistone. We’re ideally situated in the centre of the village with its local Pub serving delicious home cooked food and real ales, a Village Store where most basic food items can be purchased and a small Post Office which also serves as a newsagent and small convenience store. Millhouse Green is a village located on the north eastern edge of the Peak District National Park, a beautiful area for walking and cycling. The house itself is only a few minutes’ walk from the Trans Pennine Trail and the Royd Moor viewing platform which offers spectacular views of the local countryside – on a clear day York Minster can be seen in the distance. Our location is ideal for both holidays and long-term stays such as extended working visits to the area, looking for a house to buy or whilst refurbishing a property. We’re on the main route to Manchester and within easy reach of the main roads and motorways to major Yorkshire towns and cities such as Barnsley, Huddersfield, Sheffield, Leeds, Bradford and York. 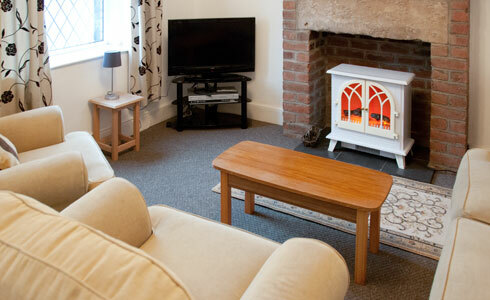 Superfast Broadband is provided and is free for all guests to access. 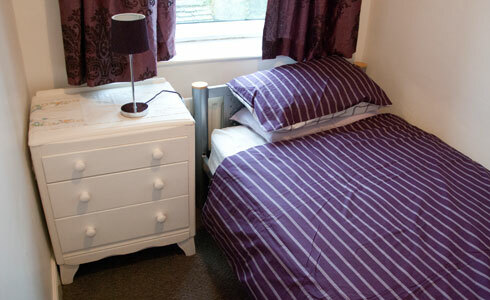 A set of towels is provided for each visitor and all beds are made up with duvet, pillows and bed linen. The living room comprises of a large sofa and two armchairs, is fully carpeted and has a television and radio. There is a small bookcase and coffee table. The original feature fireplace houses an electric stove which makes the room cosy even on the coldest of Yorkshire days. 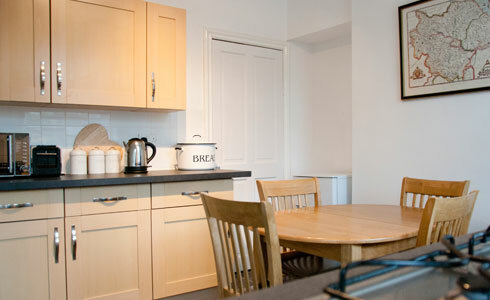 The kitchen is fully equipped with an electric oven, gas hob and extractor, full size dishwasher, microwave oven, toaster, fridge/freezer and combi boiler for instant hot water. 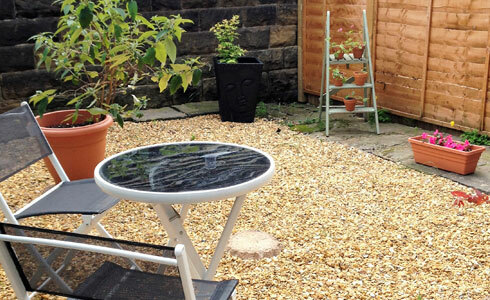 There is an enclosed, south facing garden to the rear of the house with a patio table and chairs and potted plants. A lockable out building is at the bottom of the garden which is suitable for storing bicycles. 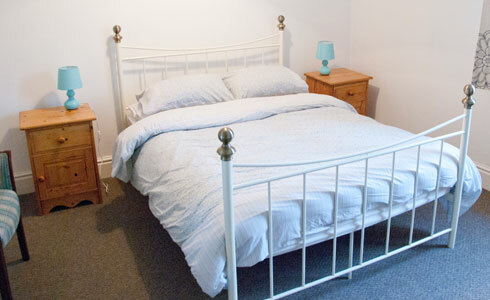 The main bedroom is at the front of the house, on the first floor and has a double bed, chest of drawers, full length mirror and a built in wardrobe. Also on the first floor is a smaller room with a single bed, drawers and another built in wardrobe. 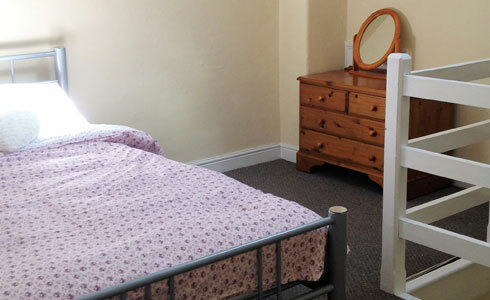 The attic room is a large double bedroom with hanging rail, drawers and skylight window. Please note that due to having a very steep staircase, this room is unsuitable for small children and the elderly. 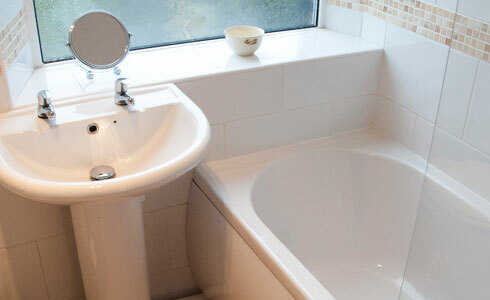 The bathroom comprises a bath, hand basin, toilet and a modern electric shower over the bath. PLEASE NOTE: The house is set on a main road through the village so there will be some associated noise. Children are welcome, however please note that the loft room is unsuitable for young children, due to the steep stair steps and the possibility of falling through safety rails whilst playing. Dogs are allowed in the holiday cottage but must be kept under strict control. They are not allowed upstairs or on the furniture and must sleep in the kitchen; guests must supply dog’s own bedding. The dog must NOT be left in the accommodation on its own. The following prices are for up to 2 weeks only. I am happy to discuss a different rate for people who make a definite longer term booking. For 3 or more nights – £70.00 deposit. Select the dates you’d like to stay from the calendar below. When you click “Check Availability” you will be taken to the cottage’s freetobook.com page where you can fill in your details. You will then be sent an invoice and confirmation. When you receive this, please call me on 07790 799728 and I will be able to take your payment details over the phone. Alternatively, if you prefer, you can ring me directly to check availability.